Five years ago, MUTCD regulatory and warning sign in LED blank out format occupied nearly all the blank out sign market space. Custom or multi-phase signage has been more concept than actuality with a perception costs made for impracticality. Recent market needs including local government’s increased focus on reducing fatalities, particularly in situational hazard events, and technology advancements such as string technology designs has put solutions-driven blank out signs , front and center. Quality, ITS-Only manufacturers increased desire to evolve with the market need in 2017, is leading to production of specific use applications for 2018. What are some of these more direct special messaging placements or applications? 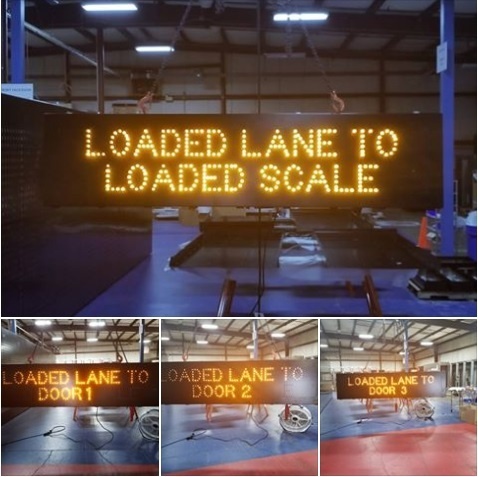 With four or five phase sign capability more affordable thanks to changes in LED design, weigh stations and driver notification signs can broadcast available options such as lane designation and traffic control without the cost of full scale dynamic messaging signs yet still provide multiple messages. Additionally, with greater threat of environmental clashes on the roadway, there are flood warning, dust warning, snow, and high wind warning systems currently in the marketplace. Off-ramp warnings and more sophisticated wrong way systems. Over height truck detection, some with LIDAR rather than laser beam, can allow multiple turn or avoidance options with advanced placements resulting in a greater range of alternative routing and increased accuracy. Directional or wayfinding blank out signs not only activated based on situational need, with multi messaging or number of distinct phases, but each with a more distinct situationally appropriate message. Blank out sign affordability can provide several alternative messages where unstimulating static sign provides but one course of action, albeit sometimes without ample merit or recourse. Additionally, continued congestion and widespread use of phone application GPS systems have heightened interest to short cut detours through NIMBY low speed or neighborhood situations. Blank Out Signs can serve as activated notice boards discouraging route options or GPS suggestion. One municipal official even quoted blank out signs can compete against mobile phone distraction where static signs cannot, even with flashing capability. Road weather notice via blank out signs can be near instantaneous with precise onsite accuracy, tied to existing roadside weather information systems. In the age of climate change, beach and alpine communities can bring seasonal warnings. With the increase use of blank out signs, they now can be linked to web based central monitoring systems especially designed for specific use or an entire network of blank out signs, seen in real time wirelessly. Gone are the days of driving to the sign to be sure it is on. Regions in the southwest will be utilizing BOS for dust warning with settings tied to air quality sensors activating to either visibility or speed benchmarks. In parts of Asia, multi-phase blank out signs are used in designated parking systems, including wayfinding signage in lieu of expensive dynamic messaging. Saudi Arabia and countries elsewhere are employing the low wattage use aspect of blank out signs for solar applications providing quicker to market installation without altering existing urban infrastructure. Suburban American communities are likewise guiding driving constituents to available after-hours parking within a popular core gathering markets utilizing blank out sign technology. These signs have the ability to automatically change message on a time queue set by authorities to match peak and non-peak times phase activation. In sum, the transportation industry has greatly expanded blank out sign application in the last two years to far beyond MUTCD applications. From environmental warning to wayfinding, BOS systems provide far greater awareness and sense of urgency with superior adaptability to circumstance than static signs, hands down, as well as more efficiently both electrically and financially, than dynamic messaging signs. Thoughtful multi-phasing designs makes for distinct, driver friendly guidance, coupled with cloud-based monitoring capability (link to cloud based blog again) providing more traffic control to engineering professionals. 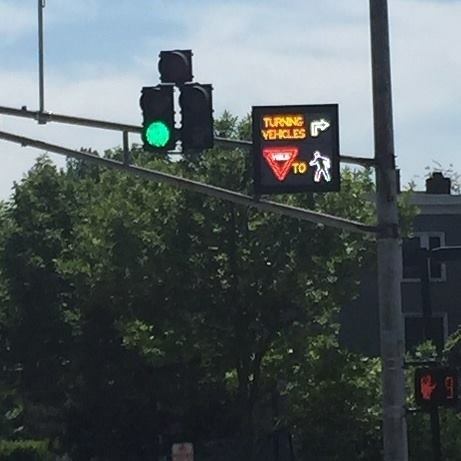 Transportation engineering has a more cost effective, high awareness tool for situational applications with broader messaging control capability than traditional signage until now. Blank out sign use will only expand as the industry looks to save more lives in all scenarios, some more common, some isolated, like environmental events or situational occurrences.